Most Republicans are rightfully counting on their reduction of the corporate income tax rate to lift stagnant wages. They should also continue to fight for a higher standard of living for all by reforming health care, hence lowering its costs. That requires fixing excessive government involvement and getting special interests' influence out of the way. Unfortunately, in that quest for lower health care prices, lawmakers are often tempted to take opposite routes. Take their recent attempt to cut drug prices by forcing companies to sell you medicine at lower prices. I guess railing against manufacturers for high drug prices and assuming that they are all greedy, dishonest actors is easier than actually looking for the underlying factors driving these higher prices. In that spirit, a group of Democratic senators sent a letter to the Trump administration demanding implementation of an Obama-era rule intended to penalize drug manufacturers for alleged price gouging. The penalties were proposed as part of the 340B drug pricing program, itself an example of how misguided attempts at controlling the health care market from the top down never produce the promised benefits for patients. 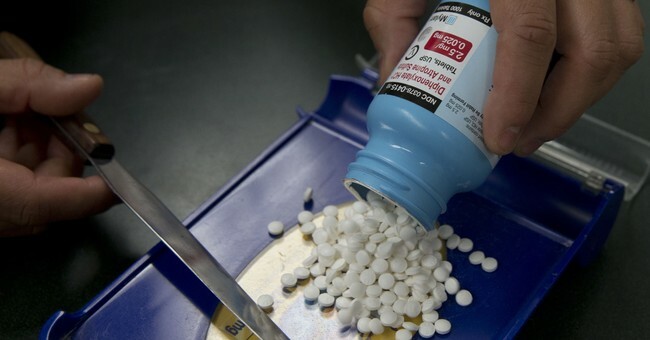 The purported aim of 340B is increased access to drugs for the poor and uninsured. Yet being a government program, it goes about it in the most convoluted way. 340B effectively mandates, by making it a requirement for participation in Medicaid, that manufacturers reduce prices for participating clinics and hospitals regardless of whether they pass any savings on to patients or whether the patients who ultimately receive the drugs are poor or wealthy. This system is terribly designed. It lets hospitals take advantage of an arbitrage opportunity at the expense of drugmakers and has done little to nothing for patients. Hospitals get access to drugs that are 30 to 50 percent cheaper than list prices and are still allowed to offer them at full cost, simply pocketing the difference. Obamacare made the problem worse by drastically expanding eligibility for hospitals to participate in the program. The number of hospitals enrolled doubled between 2009 and 2012. The program has not only failed to benefit patients but also, in some ways, done significant harm. Thanks to 340B's distortive effects -- and the fact that the nonparticipating providers that are unable to acquire drugs at deeply discounted prices have been forced to close or consolidate with participating facilities -- chemotherapy treatments have shifted dramatically from lower-cost physician offices to higher-cost hospital outpatient facilities. By pushing chemotherapy infusions to hospitals, 340B makes cancer treatment even more expensive. Drug prices are indeed higher than they should be, but if the senators behind the recent letter want someone to blame, they should start by looking in the mirror. The heavy hand of government is found throughout the health care system, and the drug market is no exception. Thanks to high regulatory barriers, the Tufts Center for the Study of Drug Development estimates a cost of $2.6 billion to develop and bring to market a new prescription drug. Some of this is caused by the nature of the market and the uncertainty of scientific research, but a significant portion is caused by bureaucracies such as the Food and Drug Administration. Such high barriers ultimately suppress competition and reduce innovation, leaving patients to face higher prices and have fewer treatment options. If members of Congress had cracked open any random Economics 101 textbook prior to passage of 340B, they would've learned that price controls always create market distortions. Instead, many are now urging even more onerous burdens on manufacturers in the form of penalties when they sell their products at a price not approved by the government. There's absolutely no reason to suspect this would work out better for American patients looking for drugs than Venezuela's price control regime, which has reduced a once prosperous nation to the brink of starvation. It's clear that curbing the cost of health care would go a long way toward providing Americans with much-needed relief. The right way to achieve that goal, however, is one that's unfortunately counterintuitive to most lawmakers. Rather than try to arbitrarily force health care prices down under the pretense of price gouging, they should remove barriers that prevent the market from working effectively and cause prices to go up in the first place. Anti-gouging policies create scarcity, impede innovation and raise prices. Scaling back government intervention in the health care market would increase the quality of health care and lower costs to consumers, including drug prices.